New year is the time to celebrate friendship with a drink. This new year picture creates the mood of celebration. 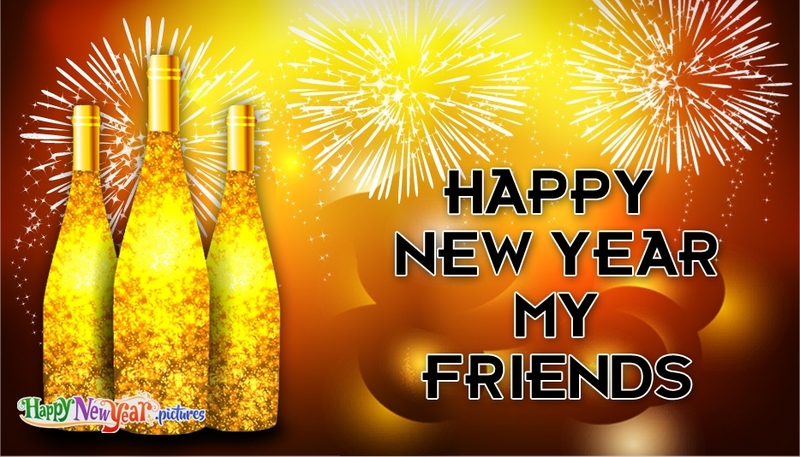 Send this happy new year e-greeting with the message "Happy new year wishes to friends" along with the image of beverage bottles. Friends make our world beautiful. Share this picture with your friends and make thier New year a beautiful one.